Visiting Vepsa Island and Ispoinen Beach and Sauna will get you outdoors. Popular historic sites such as Turku Castle and Aboa Vetus & Ars Nova are in your itinerary. Step out of Turku to go to Poytya and see Kurjenrahka National Park, which is approximately 46 minutes away. There's still lots to do: contemplate in the serene atmosphere at Turku Cathedral, examine the collection at Turku Biological Museum, have some family-friendly fun at Moomin World, and admire the natural beauty at Kultaranta Garden. For ratings, reviews, other places to visit, and more tourist information, read our Turku trip builder tool . Amsterdam, The Netherlands to Turku is an approximately 8-hour flight. You can also drive. The time zone changes from Central European Time to Eastern European Time, which is usually a 1 hour difference. Traveling from Amsterdam in July, Turku is little chillier at night with lows of 13°C. Cap off your sightseeing on the 24th (Wed) early enough to go by car to Pori. Pori is a city and municipality on the west coast of Finland. 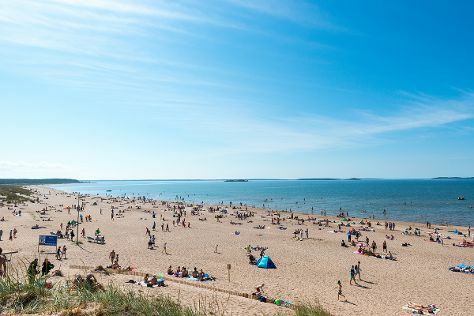 Start off your visit on the 25th (Thu): look for gifts at Porin Kauppahalli, take in the spiritual surroundings of Central Pori Church (Keski-Porin kirkko), then don't miss a visit to Juselius Mausoleum, and finally enjoy the sand and surf at Yyteri Beach. To see ratings, traveler tips, reviews, and other tourist information, use the Pori trip itinerary maker app . Getting from Turku to Pori by car takes about 2 hours. Other options: take a bus. In July, daily temperatures in Pori can reach 24°C, while at night they dip to 13°C. Finish up your sightseeing early on the 25th (Thu) so you can go by car to Vaasa. Start off your visit on the 26th (Fri): explore the striking landscape at Kvarken Archipelago World Heritage Site. On the 27th (Sat), you'll have a packed day of sightseeing: examine the collection at Terranova, examine the collection at Pohjanmaan Museo - Osterbottens Museum, and then enjoy the sand and surf at Hietasaaren uimaranta. To find ratings, where to stay, photos, and tourist information, use the Vaasa road trip planning website . Traveling by car from Pori to Vaasa takes 2.5 hours. Alternatively, you can take a bus. In July in Vaasa, expect temperatures between 23°C during the day and 13°C at night. Wrap up your sightseeing on the 27th (Sat) to allow time to drive to Oulu. Oulu is a city and municipality of inhabitants in the region of Northern Ostrobothnia, Finland. Kick off your visit on the 28th (Sun): take in nature's colorful creations at Botanical Garden, University of Oulu, take in the architecture and atmosphere at Haukipudas Church, and then tour the pleasant surroundings at Nallikari Beach. Getting from Vaasa to Oulu by car takes about 4.5 hours. Other options: take a bus; or take a train. July in Oulu sees daily highs of 23°C and lows of 14°C at night. Finish up your sightseeing early on the 28th (Sun) so you can travel to Koli National Park. Visiting Patvinsuon Kansallispuisto and Neitikoski Rapids will get you outdoors. To see where to stay, ratings, more things to do, and tourist information, use the Koli National Park road trip planning site . Getting from Oulu to Koli National Park by car takes about 4.5 hours. Other options: fly. In July, plan for daily highs up to 24°C, and evening lows to 13°C. 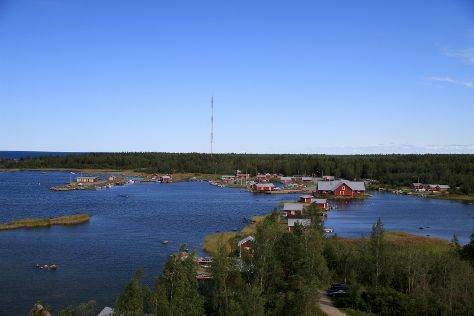 Finish your sightseeing early on the 31st (Wed) to allow enough time to travel to Rantasalmi. Rantasalmi is a municipality of Finland.It is located in the province of Eastern Finland and is part of the Southern Savonia region. Kick off your visit on the 1st (Thu): explore the wealth of natural beauty at Linnansaari National Park. Here are some ideas for day two: step into the grandiose world of Olavinlinna Castle, see the interesting displays at Savonlinna Provincial Museum, stop by Taito Shop Savonlinna, then appreciate the history behind Savonlinna Herostatue - The Hero's Grave, and finally explore the historical opulence of Savonlinna Cathedral. To find maps, more things to do, photos, and tourist information, use the Rantasalmi itinerary planning site . You can drive from Koli National Park to Rantasalmi in 3 hours. In July, daytime highs in Rantasalmi are 24°C, while nighttime lows are 12°C. Wrap up your sightseeing on the 2nd (Fri) to allow time to travel to Helsinki. Your inner history buff will appreciate Rock Church and Uspenskin Cathedral (Uspenskin Katedraali). 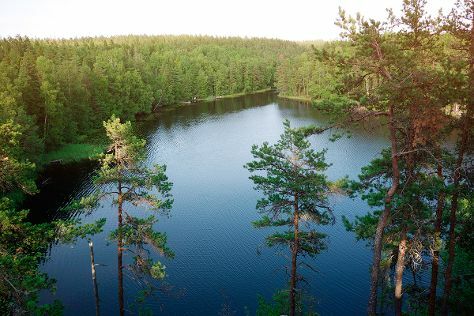 Escape the urban bustle at Aurinkolahti Beach and Nuuksio National Park. 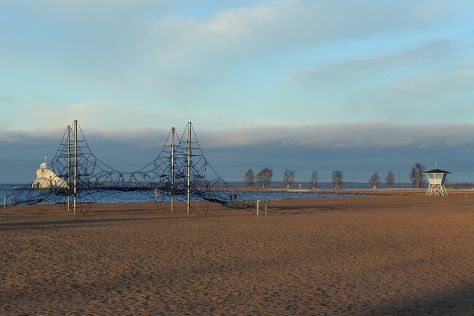 There's still lots to do: tour the pleasant surroundings at Hietaranta Beach, get to know the fascinating history of The Esplanadi Park, meet the residents at Korkeasaari Zoo, and appreciate the history behind Sibelius Monument. To see reviews, ratings, photos, and tourist information, read Helsinki trip itinerary builder site . Getting from Rantasalmi to Helsinki by car takes about 4 hours. Expect a daytime high around 24°C in August, and nighttime lows around 13°C. Finish up your sightseeing early on the 8th (Thu) so you can travel back home.